I love these trailers! Cute, cute, cute... and all for sale on Etsy. You have done a great job with your Blog! I love your blog! Thank you so much for including me in your great treasury. Very exciting! 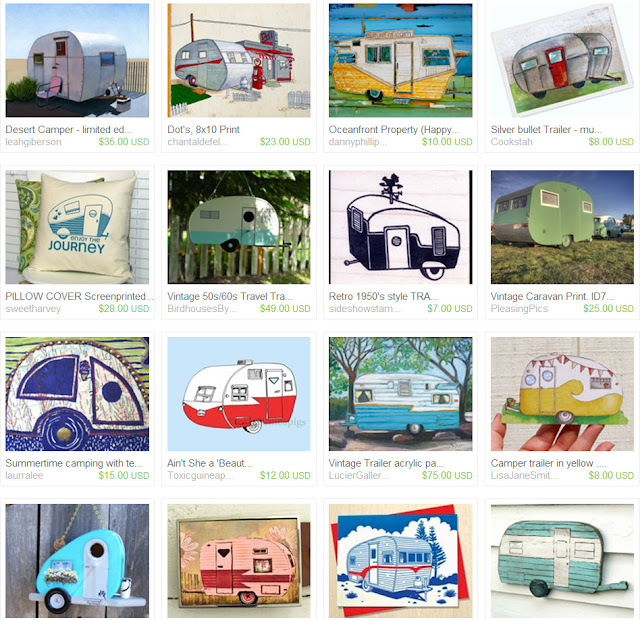 I wanted to thank you for using our tear drop trailer in your treasury and blog. I will go c&c , fb and tweet.